The standard of ethical and rational in the Christian worldview is God. To make ethical judgments on God, one has to propose a standard greater than God, that God would be subject to. For those unfamiliar with the dilemma, it stems from Plato's dialogue between Socrates and Euthyphro, and was later rehashed by Bertrand Russell to refer to the Christian God. In terms of non-believers assertions then, is something good because God says so, or is God good because He adheres to a morally good code of conduct? At first, almost all Christians will say something is good because God says so, and be done with it. 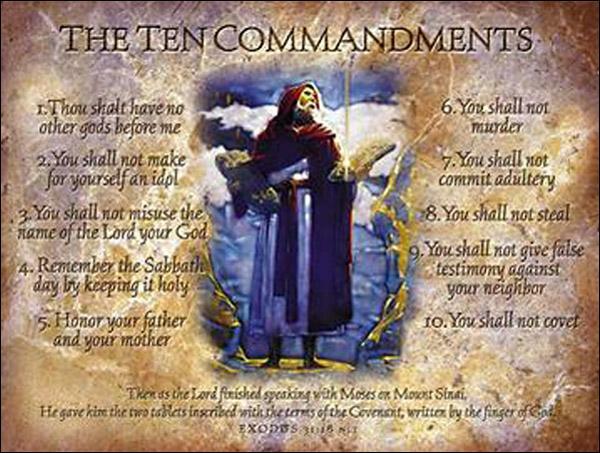 God is sovereign and His commands must be obeyed. However, the further objection will be raised to say that "good" is then completely arbitrary. And back to our non-believer, if some Christians interpret that it is God's will to murder, then it becomes moral by God's whim, and is so justified. If we then turn around and state that God is Himself subject to a universal moral code, that has obvious implications for God's omnipotence. Where does that code come from, and who or what decides what should be in there? I just want to interject here, and point out that the dilemma applies equally well to any alternatives too. For example, if we are to assume that the majority of society determines right from wrong, then the question becomes: Is something good because society follows it, or does society follow it because it is good? The dilemma for the Christian is not addressed by merely pointing out that the dilemma applies equally to all positions. The dilemma, as stated, leaves a no-win position for the Christian. Either good is arbitrary, or good is something that dictates to God. In addressing this, as always, we have to look at what premises underlie the argument. We have to look at the logical foundation of morality, on what basis does it rest? To raise the objection that Socrates and Russell (and our objector here) did, they must first establish what it is what "good" means, how they logically came to know it, how they can logically apply it, by what authority does it demand compliance, and why is there an obligation to do good? It is here where non-believers have their feet firmly in mid-air. The Christian answer is that this is a false dilemma. There are not only two options, there are three. There is an objective standard, which is internal to God. If there is a standard, then it is not arbitrary, and if it is internal to God, then God is not subject to an external authority. Morality is rooted in God's character. Whatever a good God commands, will be good. There are further objections to this line of reasoning. If God is good, and good is God, it becomes a tautology, claims the objector, and tautologies are useless to explain things. However, once again the assumption is false. To say that God is good is to explain more about His character, it is not to conflate God and goodness. It explains more about the qualities of God, it does not state that God and "good" have the exact same identity. To close then, what is "good" from a Christian perspective? Gen 18:25 Far be it from you to do such a thing, to put the righteous to death with the wicked, so that the righteous fare as the wicked! Far be that from you! Shall not the Judge of all the earth do what is just?" Job 34:10 "Therefore, hear me, you men of understanding: far be it from God that he should do wickedness, and from the Almighty that he should do wrong. So how did Abraham, Job and Paul know that a just God does right, and not wrong, that He judges the wicked but not the good, and God does not do what is wicked? Everyone recognizes what is right and wrong, even non-believers. The question is how does one make sense of that? The answer is that when humans were made in the image of God, they were given moral intuition ability, and by falling to temptation, mankind acquired knowledge of good and evil to go along with the moral intuition. God reveals to us, no, He hard-wires into us what good and evil is. Rom 1:17 For in it the righteousness of God is revealed from faith for faith, as it is written, "The righteous shall live by faith." By faith in God can we make sense of God's righteousness, He has revealed it to us. Excellent Review of "The God Delusion"
What's Going On In The God Delusion? If his objective was to cause someone like me to reconsider my Christian faith, he has accomplished the opposite. The question underlying his critique is: based on naturalist assumptions, does theism make sense? It's an illegitimate question, of course, akin to saying, from the standpoint of basketball rules, it makes no sense to kick a soccer ball. Of course theism will not live up to naturalist assumptions, if by naturalist we mean (as Dawkins does) that naturalism is the whole show. Theism doesn't have any desire or need to live up to this; it starts with the opposite belief. And I mean it really does start there. You can read the first three or so words of the Bible (in English) and not find it, but by the time you get to the fourth and fifth words, naturalism is ruled out. ...much of chapter two is taken up with a scientific study that failed to show that heart patients who were prayed for did better than others who did not. Dawkins casts aside with a sneer the altogether sensible response that God may not have wanted to play the researchers' game. Here's the flaw, again: in the examples I've cited and in other places, Dawkins questions the sensibility of God in light of his nontheistic presumptions. He says in effect, "If there is a God, he doesn't fit my naturalistic conceptions, so there must not be a God." This is trivial. If there is a God, we can be well assured, without Dawkins's help, that he doesn't fit naturalistic conceptions. Theism has to be considered in its own right, on its own terms. If it is internally inconsistent it fails. If it is inconsistent with atheistic presuppositions, that's hardly worth writing a book about, is it? Atheist Richard Dawkins spends a lot of time addressing the “evils” of religion. "How much do we regard children as being the property of their parents?" Dawkins asks. "It's one thing to say people should be free to believe whatever they like, but should they be free to impose their beliefs on their children? Is there something to be said for society stepping in? What about bringing up children to believe manifest falsehoods?" Two issues must be raised here. First of all, on what grounds does an atheistic evolutionist approach moral issues? Second, what type of standard will “society” use to determine whether or not to “step in” regarding what parents teach their children? We have a pretty good glimpse at what Dawkins sees as the final authority on ethics: “society”, i.e. the State. Is “society” the final determiner of ethics? If that is the case, we would have to justify every action that a civil government has ever taken. If the state is the final authority, then Nero, Hitler, and Stalin cannot be looked at as unethical in their actions. In a different but equally futile search for “secular” ethics, fellow atheist Sam Harris, writes, “The truth is that the only rational basis for morality is a concern for the happiness and suffering of other conscious beings.” (Do We Really Need Bad Reasons To Be Good? by Sam Harris / Boston Globe October 22, 2006). Obviously, such a standard is highly subjective. Pedophiles are “happy” when they are molesting children. Religion makes some people happy, yet Dawkins calls it evil. As we saw in a previous blog, happiness itself is really no different from suffering in an atheistic worldview. Both are merely emotional entities created by human neurons in response to certain stimuli. What makes one superior to the other? If the naturalistic worldview is correct, then there are no moral absolute s, and for an atheist to appeal any, especially in regards to religion, is the highest form of hypocrisy. Dawkins himself asks, “…by what route has the human brain gained its tendency to have ethics and morals, a feeling of right and wrong?” He never answers the question, because he has no answer, thus portraying the futility of an atheist to establish any form of an ethical argument. In order for Dawkins to maintain his argument that religion is evil, he has to acknowledge the existence of evil, borrowing it from the very worldview he decries. Human beings (even Dawkins) have an inherent knowledge of right and wrong, even though they fail to measure up to it themselves. Where does the knowledge come from? The reality is that, if such knowledge doesn’t come from God, it really doesn’t exist. It is merely the product of our own vain imaginations, human neurons firing off certain “data” that we must then try and validate in a secular world. These ideas are dangerous, as August pointed out in his piece, “The ethical consequences of the Theory of Evolution”. If self is indeed autonomous, why shouldn’t high school students gun down each other? Survival of the fittest, right? The fact of the matter is that, in their own minds, these young men had good “reason” to do this. Is it any wonder that our postmodern young people, with a lavish lifestyle that their grandparents could have never dreamed of, are so dark and miserable? Why is it that our young teenagers, who have their own TV’s, Stereos, Cell Phones, Game Boys, etc., who have never had to fight in a World War, are so angry at the very people who have spoiled them? If nothing else, these results are to be expected as they are consistent with evolutionary thought. Ideas have consequences, and the attempts to remove God from society and replace it with the idol of humanism leaves a culture “like sheep without a shepherd”. People have an inherent knowledge of an absolute moral standard, but no one to teach them where it comes from and how it must be obtained. The fact that there is recognition of an absolute moral standard (even by those who reject it) shows evidence of an Absolute Lawgiver. Related to the Moral Argument is the Argument from Justice. To illustrate this, let’s create a hypothetical murder case. 10 years ago, Mr. Jones murdered Mr. Smith. Up until now, evidence has been hard to come by. But today, the evidence is clear, and it clearly points to Mr. Jones as the murderer. What should happen to Mr. Jones? 1.) What crime was committed? Well, obviously murder. So what? What is wrong with murder? How is the murder of a fellow human being any more abominable than swatting a fly, or spraying weed killer on your lawn? After all, according to the evolutionary worldview, humans, flies, and weeds are merely the products of mutations acting upon bioactive compounds. Will there be equal punishment for all cases? Unless there is something spiritual about humans that make them different from flies and weeds, there can be no grounds for a different punishment. 2.) Who is the victim? Well, obviously, it’s Mr. Smith. The problem for the atheist is that, according to their worldview, Mr. Smith does not exist. He ceased to exist at death. Is it is right to punish a man for killing someone who does not exist? What kind of evidence will you use? Unless there is something spiritual about humans that transcend their natural bodies, Mr. Smith cannot even be pronounced dead. All we have in regards to evidence is a corpse, with no objective way to really prove that it was ever alive. 3.) Who is the criminal? Well, obviously Mr. Jones. The problem here is that Mr. Jones isn’t the exact same person that he was 10 years ago, either mentally or physically. Mentally, Mr. Jones knows new things, and has 10 more years of life experiences, bad and good, to shape his personhood. Physically, his body, from a naturalistic perspective, is totally different. All the cells that made up his body 10 years ago are gone, having been replaced by new cells. from a naturalistic worldview, Mr. Jones is a totally different person than he was 10 years ago. Can Mr. Jones rightly be punished for a crime that a different person committed? Unless there is something spiritual about humans that transcend their natural bodies, Mr. Jones today cannot be connected with anything that happened 10 years ago. As we can see, in such a case, justice assumes a Christian worldview. Indeed, there can be no true justice without it. We certainly don’t see it in our courts. Even in our best efforts, justice will never be truly served here on earth. If we call it justice to take the life of a murderer, what kind of justice can we meet out for a double-murder? A serial killer? Adolph Hitler was never brought to justice. Even his death by his own hand was mild compared to the millions he slaughtered, and cannot be compared to the gruesome deaths suffered by so many innocent men throughout history. Our inherent sense of (and need for) justice is evidence that justice does exist, and this cannot exist is a purely naturalistic world. True justice demands the existence, not only of God, but of His judgment as well. Friend, God’s moral law is inherently known by all, you included. It is also painfully obvious to all that we have failed to keep it, and that failure demands justice. This we know all too well. How will you escape the justice of God? Will you rely on weak excuses? Will you demand that the Almighty allow you to enter the heavenly city based on your own foolish personal view of morality? For what purpose will you condemn you own soul to Hell? Will you run to Christ? He alone will be your Rock and your Refuge. This is an old post from my home blog - thought it might be worth reposting. 1 Presuppose the idea that I can substantially understand or judge the verity of all things. 2 Accept the idea current accumulated evidentiary experience and knowledge are the best true measure of all things. 3 Accept the idea that the interpretation of natural circumstantial evidence of past events by non-Christian skeptics is interpreted correctly. 4 Accept the proposition that I am open to the idea I can be dissuaded from my faith through doubt.